Many people know that Sherlock Holmes was an enigmatic detective who, with his companion Dr. Watson, pursued criminals through Victorian and Edwardian England. What, perhaps, they don't know is that he investigated 60 fully documented cases, including 37 murders; that 46 of those cases began in his offices at 221B Baker Street; that only three of them involved his nemesis Moriarty; and that in his later years Holmes spent his time beekeeping on the Sussex Downs. 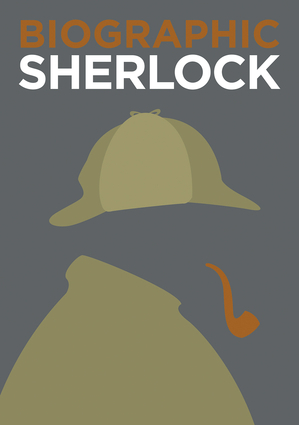 Biographic Sherlock presents an investigative guide to his life and work, with an array of clues and observations converted into infographics to reveal the detective behind the detection. Viv Croot is a writer and editor specializing in adult non-fiction, who has written or contributed to over 50 books on subjects from art to zoology.